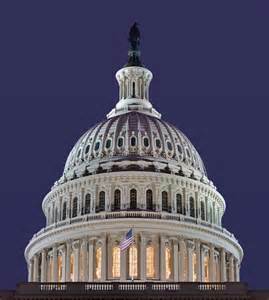 In the upcoming months, Members of Congress will have several weeks to work in their districts. 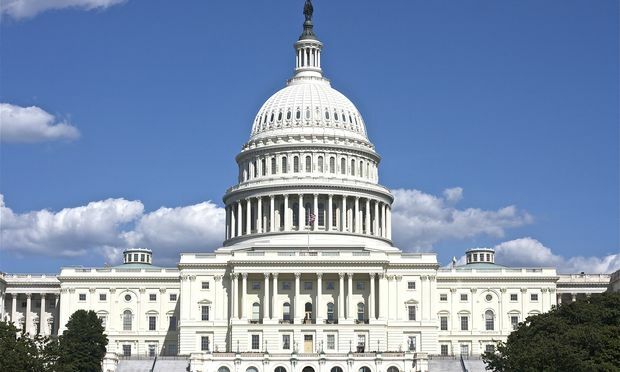 This is a great time for Employee Owned Companies to plan Congressional site visits which allow Members to see first hand the benefits of employee ownership and the value of pro-ESOP legislation. Employee-owned company, NewAge Industries, in Pennsylvania, invited Governor Tom Wolf to their facility. 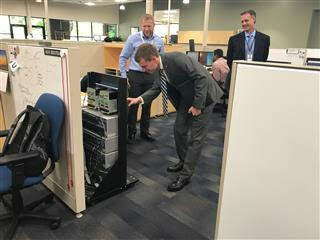 The tour showcased the financial and moral values employees gain when they are a part of business ownership noticed by Governor Wolf as he pointed out "the number of 'employees smiling'." After the tour, a roundtable was held between the executives of NewAge and Governor Wolf which included the discussion about how the Pennsylvania Center for Employee Ownership is exemplary in promoting growth of companies through employee ownership. More highlights about this tour and meeting can be read here. Company tours like this one for key decision makers demonstrate the benefits of pro-ESOP legislation. We are pleased that Salem Distributing hosted their Congressional Rep. Virginia Foxx at their offices recently. Below are the highlights of the Congressional visit recapped by ESCA. Visit #1: James Estes, Regional Representative for U.S. Senator Thom Tillis (R-NC), visited ESCA Board member Schweitzer Engineering Laboratories (SEL) Charlotte facility last week. SEL employee-owners and Government Affairs Representative Larry Camm spoke with the Senator's Regional Representative about the culture of employee-ownership and gave a tour of the SEL Charlotte facility. 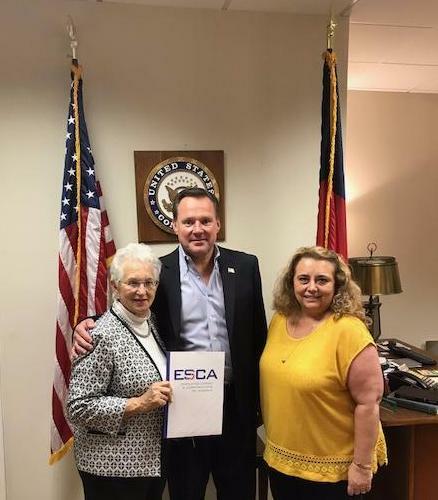 Last week, ESCA member company Salem Distributing Company, Inc. met with Congresswoman Virginia Foxx (R-NC-5) in her district office. Because Congresswoman Foxx chairs the Committee on Education and the Workforce, which has jurisdiction over Department of Labor issues, Salem Distributing CEO Mike Willard and Controller Gale Marett focused their discussion on the Department of Labor's approach to ESOPs. Our goal for this meeting was to encourage Congresswoman Foxx to convey her support for ESOPs and concerns about aggressive enforcement efforts to Secretary Alexander Acosta. We appreciate her willingness to speak with Secretary Acosta on behalf of ESCA member companies and look forward to continuing to work with her on DOL and other issues in the future. 1) A list of members of the House from your State that have co-sponsored HR 2092, the pro-ESOP bill, or the same bill in the last Congress, which was HR 2096. A member of Congress often looks to see what his or her colleagues are supporting and are influenced when those that they trust are behind a piece of legislation.